The long twelfth century heralded a fundamental transformation of monarchical power, which became increasingly law-based and institutionalised. Traditionally this modernisation of kingship, in conjunction with the ecclesiastical reform movement, has been seen as sounding the death knell for sacral kingship. Increasingly concerned with bureaucracy and the law, monarchs supposedly paid only lip service to the idea that they ruled in the image of God and the Old Testament rulers of Israel. The liturgical ceremony through which this typology was communicated, inauguration, had become a relic from a bygone age; it remained significant, but for its legally constitutive nature rather than for its liturgical content. Through a groundbreaking comparative approach and an in-depth engagement with the historiographical traditions of the three realms, this book challenges the paradigm of the desacralisation of kingship and demonstrates the continued relevance of liturgical ceremonial, particularly at the moment of a king's accession to power. 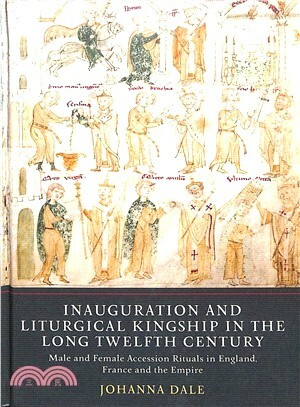 In integrating the study of male and female rites and by bringing together multiple source types, including liturgical texts, historical narratives, charter evidence and material culture, the author demonstrates that the resonances of liturgical ceremonial, and the biblical models for kingship and queenship it encompassed, continued to shape concepts of rulership in the high Middle Ages. JOHANNA DALE is a British Academy Postdoctoral Fellow in the Department of History at University College London.